How often do you listen to God? I preach daily to my young daughter about the importance of listening and obeying, but when it comes to my own life? God told Mary to do a difficult thing. Sometimes the Lord asks us to do hard things. What difficult thing has he asked you to do? 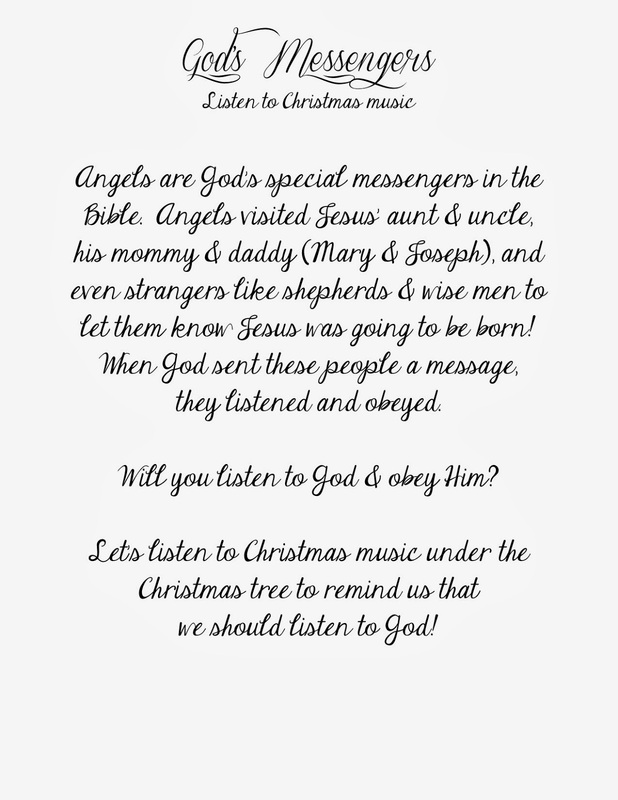 Are you listening? Are you obeying? What is happening in your life to which God is whispering, "Do not be afraid..."? 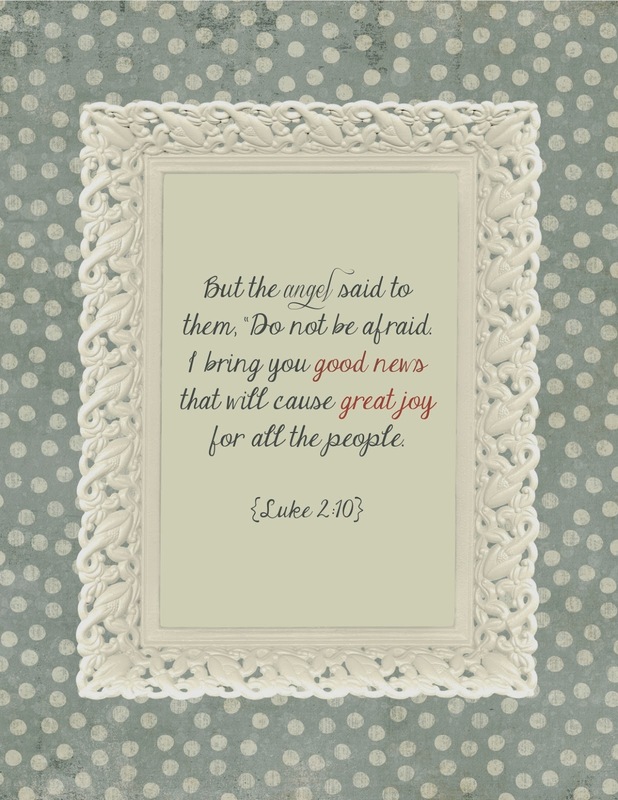 What is He asking you to do that will bring good news to others and cause great joy among those around you? "Praise, honor, & thanksgiving to the baby King! Peace will reign among the nations! He will extend tender & gentle mercy. He is making a Way back to us!"